Tis the Season to Be Hired! The trees start to become bare and the crispness in the air is palpable. As the time of year shifts from sunny days to the holiday, two main things take over the thoughts of many Americans: sales and jobs. The seasonal hiring formula is a simple one: more sales equals more shoppers; more shoppers equal more help wanted! Retailers and job seekers alike anticipate the winter months bringing more people into the stores and more money into workers' bank accounts. This year, the National Retail Federation estimates taht retailers plan to hire between 585,000 and 625,000 seasonal workers during the holiday season. These figures run along the same line as last year with a gain of 660,000 seasonal workers hired from October through December. Of the major retailers hiring, Macy's take the top spot with 80,000 workers for the season. Others on that list include Kohl's, Wal-Mart, and Toys R Us. Surprsingly, Target expects its hiring numbers to decrease from last year. In the 2011 holiday season, Target hired 92,000 employes whereas this year they estimate a range between 80,000 and 90,000 new hires. 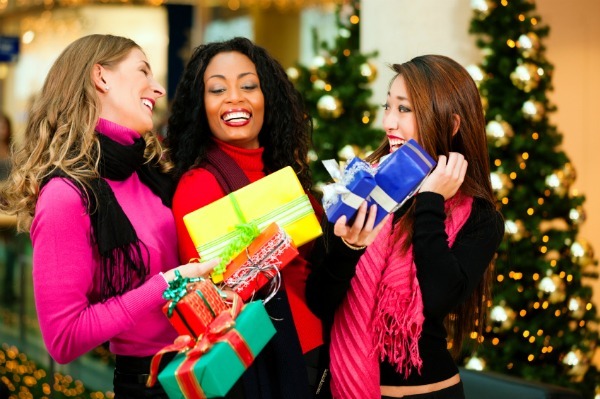 The NRF said earlier this week that it expects holiday sales this year to go up by 4.1 percent. The economy's recovery from the recession, however, remains a slow one. Even still, there are 1.8 million more Americans working this year than last. With more people working and earning paychecks, it works in favor of the ecomony to get those same workers spending as well. More money, more presents. According to Challenger, a firm that specializes in employment opportunities for executive who have been laid off, retail jobs are more desirable this year because of their terms. Flexible schedules, overtime pay, discounts, and the round-the-clock hours are just some of the things that appeal to applicants in need of extra cash. The thing about seasonal jobs is that they are seasonal so the chances of hanging on to them after the holidays is slim to none. For those considering taking a seasonal retail job, it's important to remember that shopping will drastically slow and the additional help will no longer be needed. There are some exceptions though. Last year, Target kept on 30% of its hired seasonal workers. Keep in mind that the stores more likely to keep its employees are the major national retailers that get high volumes of business year round like Target and Wal-mart. Retailers love workers who have excellent customer service skills so seasonal workers with a knack for helping others have a good shot of staying on board. You don't have to turn solely to brick and mortar stores for employment opportunities. Amazon has announced that it will be hiring 50,000 more people to work at its distribution facilities. And when it comes to distribution, don't forget major carrier companies such as UPS and FedEx. Every holiday season, recession or no recession, hiring across a variety of industries from retail (both online and in-store) to distribution always increases substantially. While the jobs may only be short and sweet, they offer many job seekers a light during the darkest time of the year. When it comes time for the holiday shopping to begin, which side of the doors will you be on?